On Sunday, March 18, 2018 Rev. 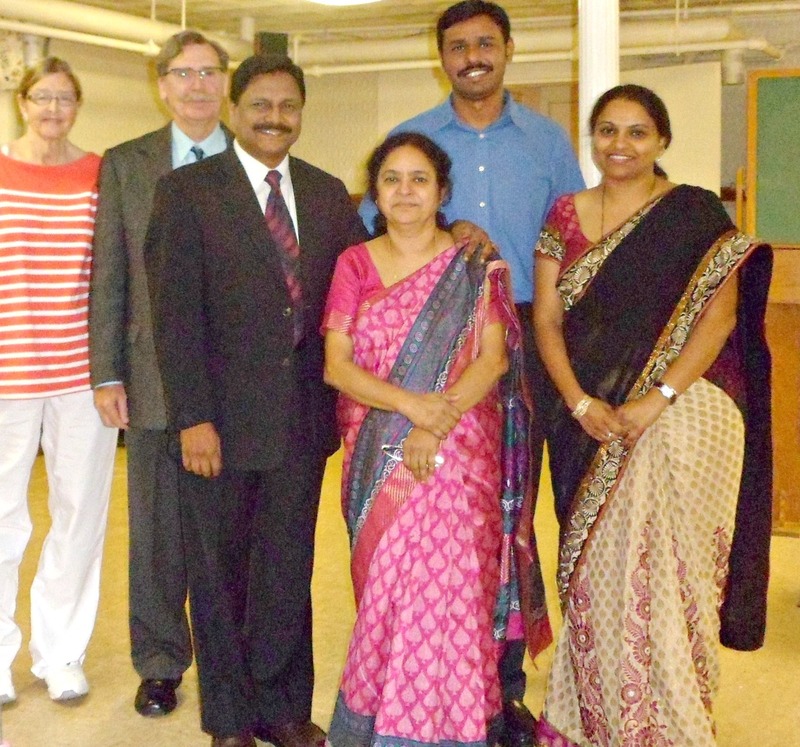 Dr. Kishore Joseph, Executive Director of New Life Associates ministry in India, visited KPC during his trip to the U.S.A. Rev. Joseph led the Adult Class and provided an update on his ministry in India. He also preached the sermon during morning worship after which he was able to renew old friendships with KPC members. 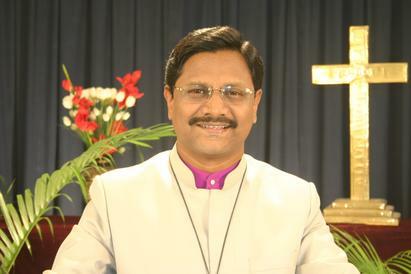 New Life Associates proclaims the gospel of Christ in India through a number of channels such as preaching, sharing and mass media. Every day hundreds are accepting Christ and filling the churches. KPC has been a mission partner of New Life Associates for many years. Led by Rev. Kishore Joseph, Director, and his wife, Dr. Marie Joseph, Medical Director, New Life Associates has also transformed the lives of the poor and needy through medical clinic treatment, revival, and spiritual growth. New Life Associates is based in the Indian state of Andhra Pradesh. The construction of the New Life Ministry Centre is a mighty act of God in our twin cities. It is built on about one and one half acres of land upon which are the Trinity Cathedral Church, Emory Multi-Specialty Hospital, Masilamani Conference Centre and the Administrative Building. To acquire this much land in the middle of the city is now impossible. Praise God, He had a plan and helped us buy this land 15 years ago. This is a fast developing area in which construction of shopping complexes, multi-national outlets and multi-story apartments is underway. Near to the New Life Ministry Centre there are 30 acres of land on which multi-story apartments and duplex homes are planned. Literally thousands of people will soon move into the area. This growth in population provides an excellent ministry opportunity to share the Gospel, teach the Word and provide medical help. We firmly believe we are in the center of God’s will and do our best to fulfill his purposes. For many years our physicians operated in a small room giving free medical treatment to the poor and needy. But now our dream is a reality! A beautiful 150 bed hospital is built in the New Life Ministry Centre and is named Emory Multi-Specialty Hospital. Poor patients in the surrounding slums and other areas are now being served by this new facility. The hospital maintains good hospital hygiene and features clean beds, expert medical treatment, and excellent nursing care, backed up with warm Christian love. More and more people are learning about this new hospital and it is expected that it will soon be treating hundreds of out-patients daily and 150 in-patients. The Trinity Cathedral Church built in the New Life Ministry Centre is growing. Within a span of three years we have 150 believers worshiping in this beautiful church. We are working hard to establish them in the faith commitment to Lord Jesus. This year during 40 days of Lent we held prayer meetings in the homes of all families. Every Friday night about a dozen members gather for Bible Study, fasting, and prayer. The church can accommodate 1500 people for worship.